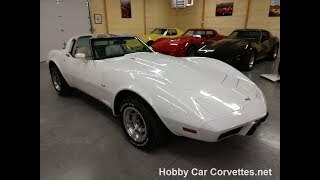 Hi, I am interested in your 1979 Chevrolet Corvette listed on Autotrader for $19,000. I'd like to get more information about this vehicle and confirm its availability. We changed the oil and filter, transmission fluid and filter, rear end grease and additive, and checked and lubed the chassis. We also replaced the starter, water pump, and rebuilt the carburetor, and much more.